Certain online travel agencies, certain asset-light hotel chains, certain global distribution systems, certain airlines, and certain legacy standards bodies. We call this segment of the travel ecosystem "big travel" as a juxtaposition to the term "big tech" - referring to companies like Google, Apple, Amazon, Facebook and certain Chinese consumer brands. Big Tech is in orders of magnitude larger and smarter than big travel in the way of capital, manpower, and customer reach. These players are now after the travel consumer. We argue that big travel will lose this battle if it continues to choose short-run gains over long-run innovation-led growth. Rough estimate: Individuals likely spend more time on Facebook and Instagram in a single week than they do on all travel apps and websites in a year. Heavy spending on performance marketing is how Big Travel acquires a large portion of its customer base. Meanwhile, Google, Facebook, and others are inching their way down funnel with search and payment gateways on top of existing apps and services. These entities are still clearly relevant players and are performing well financially. Their ability to funnel customers to their booking windows is also under threat. In simple terms, the key strategic questions are therefore a) whether Big Travel can hold on to its mid-to-bottom funnel position and b) whether it can fight further up funnel or c) whether Big Travel should diversify and move into new verticals to improve the overall value proposition to the traveler. - By focusing on the travelers' credit card details instead of their heart strings. - By failing to create platforms that consumers interact with beyond the necessary. - By focusing on the business of human logistics and storage, instead of human inspiration. - By failing to create real connections between the local and visitor economy. - By participating in a zero-sum game and race to the bottom on commissions and profits. - By failing to create compelling career tracks for entry-level employees. - By failing to invest in platforms that motivate users to publish rich, inspiring travel content. - By pushing dated back-end tech as a way to sandbag hotel owners into franchise contracts. - By putting click-based email marketing at the center of a failing long-game strategy. - By sugarcoating failed email aggregation and list-blast strategies with the term "loyalty". - By failing to implement data standards amid the rise of personalization. - By giving access to bare essentials like breakfast and WiFi only in exchange for customer data. - By failing to address the impact of travel on the environment and natural ecosystems. - By creating sluggish, rigid, and non-responsive organizations. - By rushing to sell off real assets in exchange for short-run shareholder gains. - By failing to create real marketplaces for owner-run independent hotels. - By letting the top-of-funnel slip away while assuming they can hold ground with bookings alone. - By seeing new technologies like voice search as a threat rather than an opportunity. - By creating the illusion of cut-throat competition and that travel consumer startups are a lost cause. - By failing to fund tourism boards and initiatives aimed at innovating product. - By disregarding blockchain and other nascent technologies. - By failing to experiment with innovative business models including subscriptions and discovery. - By working with local officials to kill home sharing. - By launching a myriad of brands that create no real value or meaning for the traveler. - By pushing otherwise innovative companies to compete on unfair terms. The travel industry used to much more clearly defined. We had the real world and visitor world. In the real world we had banks, schools, and the post office. On the other side in the visitor world we had hotels, tour guides, and rental services. In the middle sat intermediaries. Sometimes we would go direct. Then there was the handful of publishers that would feed us information about the visitor world. Guide books, magazines, the occasional documentary, etc. This basic model went unchanged for centuries. Transportation methods got faster and more efficient. Communication and payment methods improved i.e. got faster and more efficient. Content got more colorful. Things improved overall but the basic market forces at play remained in tact. Real world; visitor world, intermediaries. Dawn the internet and mobile computing. Data and apps make it possible for travel companies to simultaneously compete on four distinct spatial planes. The familiar and nomadic states are known. The absent state refers to what we leave behind while away in terms of reusable resources but also relationships. The mirror state refers to what we leave behind when we leave a visitor destination. Those platforms that can offer services and mine data across all four planes can seek competitive advantage. Arguably, the more services provided, the more insight a company would have on a customer's preference and behavior. This data can be used to optimize advertising, incentives, and pricing strategy. Most travel consumer technology platforms can now help you book flights and tickets (familiar state). They can also help you find things to do while away (nomadic state). And while away, some can facilitate your home rental, too. And most offer reviews and functionality that allows for content and feedback. This model illustrates today's competitive arena. A company needn't compete on all four to be successful. Clearly, there are other elements that go into it including brand and market cycles. Sign up for our bi-weekly updates. Big Travel now competes for the same customer on the same platforms with more or less the same product. Classic red ocean scenario. In an up market, legacy players are more likely to stick with the proven formula. Incremental successes and bull markets justify the status quo. New market growth distracts from innovation. Historic successes make it difficult to change course. Staying the course means more defensive sandbagging of suppliers with rigid contract terms, focus on enterprise tech, and expired data standards; spending disproportionate shares of revenue on performance marketing and advertising on platforms that consumers actually use. Meanwhile there is leakage as consumers find alternatives. That includes new travel apps and increasingly Big Tech. Big Tech has created a nearly impenetrable mesh of inter-locking "life platforms" adept at serving our basic and deeper-rooted human needs. Each has its competitive niche, and they compete on many levels. This competition serves to strengthen the fabric as a whole. They may lose market here and there, but the fabric gets stronger blanketing more and more of the customer journey as these players look to simultaneously differentiate and lower costs. Those firms operating outside of this new digital fabric are getting blanketed and choked. The natural reaction is to build walls and moats. Big Travel went after the lower part of the purchase funnel leaving discovery and search up to Big Tech. Now Big Tech is pushing further down funnel putting pressure on Big Travel. Scenario 1: Big Travel is left on the defensive building walls and moats and fighting it out with lesser competitors down funnel. This could include more consolidation. This has already played out with acquisition-lead growth and minority stake investments. First the bigger OTAs e.g.  Travelocity and Orbitz and then the metasearch players e.g. Kayak, Skyscanner, and a bunch of small regional players e.g. Momondo by then Priceline Group. For the few independent players that remain e.g. TripAdvisor these become more desirable assets and bigger targets for acquisition. Scenario 2: Big Travel integrates further in with Big Tech handing over its relationship with the consumer to the platforms. Here the focus will fall increasingly on connectivity and supplier relationships. More competition in the Big Travel camp will result as players jockey for position as the premier aggregators and suppliers of hotel, air, and activities content to the big platforms. Scenario 3: Diversification. Big Tech diversifies into unexpected verticals. We're seeing this happen as the OTAs and hotel chains move into the tours and activities space. We anticipate that Big Travel will increasingly step out of its comfort zone and out of yesterday's two-dimensional plane - and even outside of today's spatial realities. Big travel should look to create new markets where competition is irrelevant. This means simultaneous differentiation at a lower cost. Following the consumer into new transcendent states may be required. We see the great decoupling happening. We are transitioning into the digital world. Big Travel needs to be there as it happens - not when it happens.